A survey of the latest research, covering such topics as plasticity in the adult brain and the underlying mechanisms of plasticity. The notion that neurons in the living brain can change in response to experience-a phenomenon known as "plasticity"-has become a major conceptual issue in neuroscience research as well as a practical focus for the fields of neural rehabilitation and neurodegenerative disease. Early work dealt with the plasticity of the developing brain and demonstrated the critical role played by sensory experience in normal development. Two broader themes have emerged in recent studies: the plasticity of the adult brain (one of the most rapidly developing areas of current research) and the search for the underlying mechanisms of plasticity-explanations for the cellular, molecular, and epigenetic factors controlling plasticity. Many scientists believe that achieving a fundamental understanding of what underlies neuronal plasticity could help us treat neurological disorders and even improve the learning capabilities of the human brain. 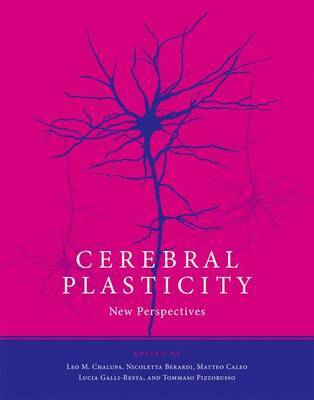 This volume offers contributions from leaders in the field that cover all three approaches to the study of cerebral plasticity. Chapters treat normal development and the influences of environmental manipulations; cerebral plasticity in adulthood; and underlying mechanisms of plasticity. Other chapters deal with plastic changes in neurological conditions and with the enhancement of plasticity as a strategy for brain repair.